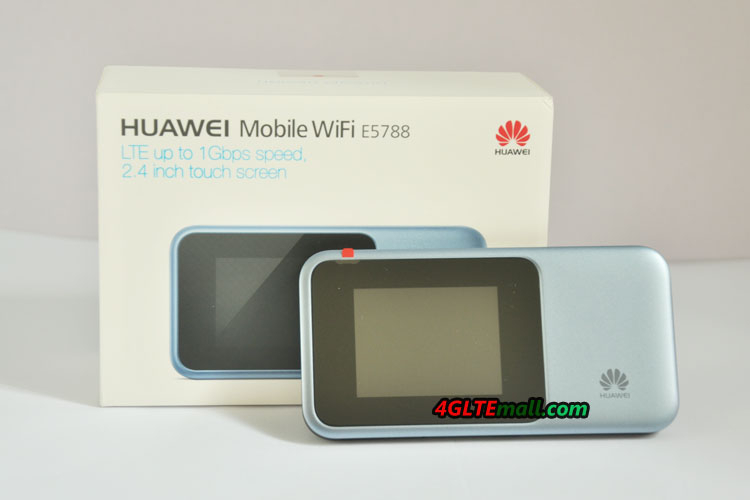 Last weekend, we get the latest new Huawei New LTE Mobile Router – Huawei E5788u-96a Gigabit LTE hotspot(Huawei names it “Huawei Mobile WiFi 2 Prime”). After around two month waiting, the Huawei E5788u-96a is finally available on the market. 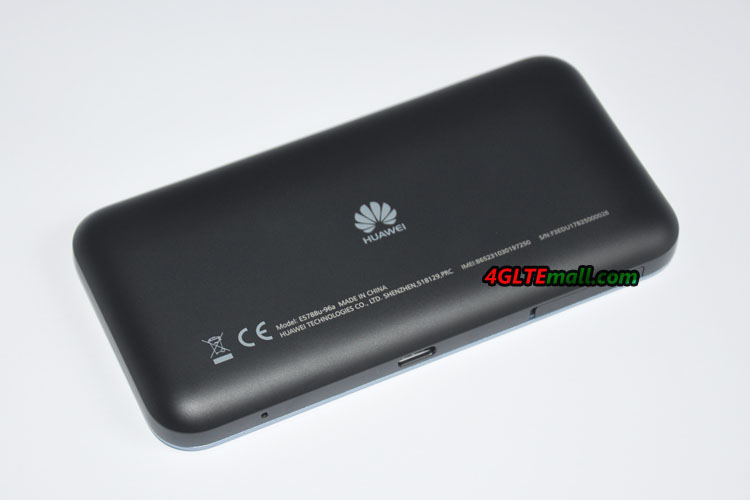 We get the Huawei E5788 in blue & black color(see below the images). The package box is in white, which shows the highlights & selling points of the Huawei E5788: LTE up to 1Gbps speed with 2.4inch touch screen. Unlike the competitor Nighthawk M1 from Netgear in squre shape, the Huawei E5788u-96a is in rectangle shape. And the screen is in left part on the front, where the Netgear Nighthawk M1 has round screen in the middle of the front. The body of Huawei E5788 is made of plastic like the predecessor Huawei E5786 and E5787. The top side is the power button and the USB port is on the opposite side. Beside the USB 3.0 port, it’s the place for inserting the SIM card. 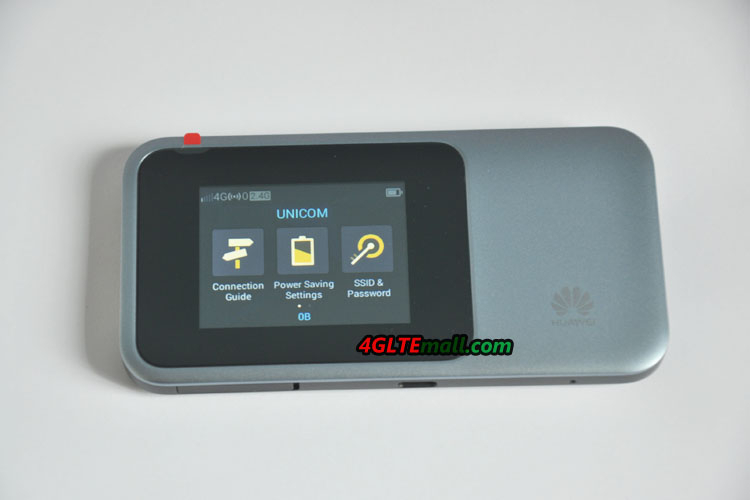 Huawei E5788u-96a uses Micro SIM card. The slot is covered by a small cap. However, we didn’t find the connector for external antenna. Usually, the Huawei LTE mobile hotspots have the interface for external antennas, we don’t know why Huawei didn’t offer the external antenna connector. At the other side of the USB port, it’s a small hole for reset the router. The size of Huawei E5788 is not big, one hand operation is possible. The battery of Huawei E5788u-96a is non-removable like the Huawei E5786, but the Huawei E5788 is very slimmer than E5786 and feels good. Press the power button, the screen would be bright and Huawei logo in red will appear, and few seconds, it showed “Welcome”. Then the screen shows some information. If you had already put a valid SIM card in, the Huawei E5788 would automatically detect the SIM card and setup the profile. In seconds, you can see the SIM card’s network provider’s name on the screen. And the signal strength, WiFi band, WiFi connected users, battery status are shown on the screen. The screen also indicates “Slide to unlock”. 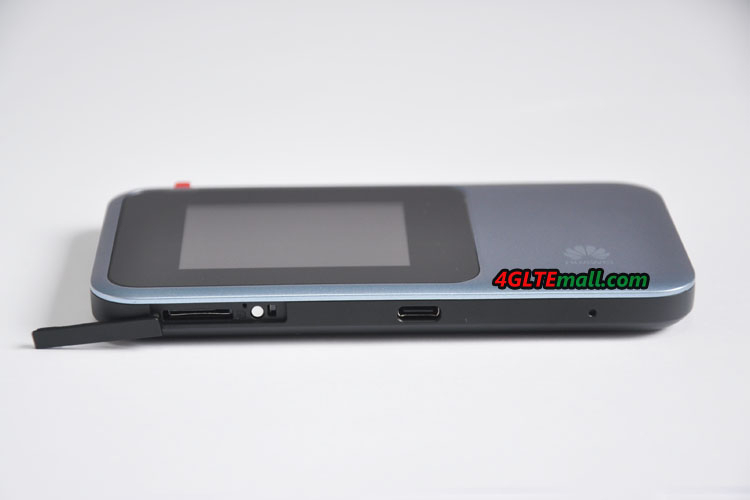 The touch screen is very similar to the Huawei E5787s-33a mobile hotspot, which also had a touch screen. On the screen, user can check the connection status, SMS, about the device. The most important is that users can do settings through the screen like operating a smarpthone. In the setting menu, there are settings for Connected Users, Bluetooth, Profile Mangement, WiFi Extender, WPN, WiFi, Data usage, Data roaming, Network Settings, Pin Management, Password lock, Language, Remote Wake, Update and Restore Defaults. 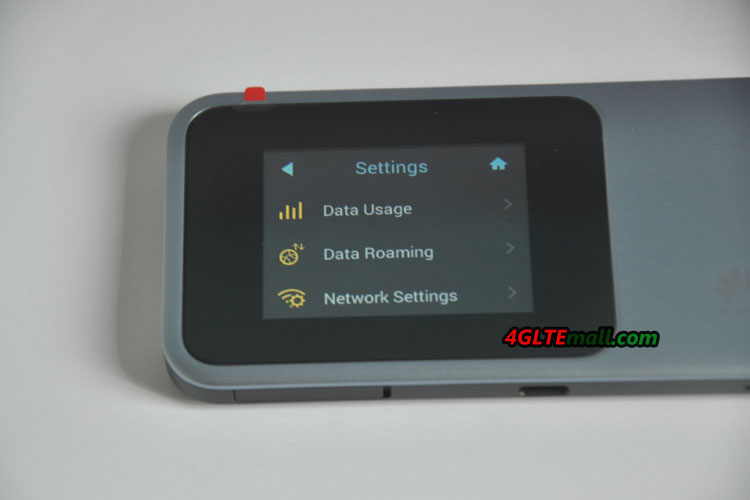 It includes almost all the settings for the Huawei E5788 mobile WiFi hotspot. Of course, user can also do the settings through the web interface 192.168.8.1 or download the Huawei Hilink APP from Google Play or Apple Store to setup the router. With the Huawei E5788u-96a 4G hotspot, Huawei provides a USB cable and power adapter in EN standard, which may not be good for users who are located at American or Europe. The warranty card and user manual are also included in the package box. 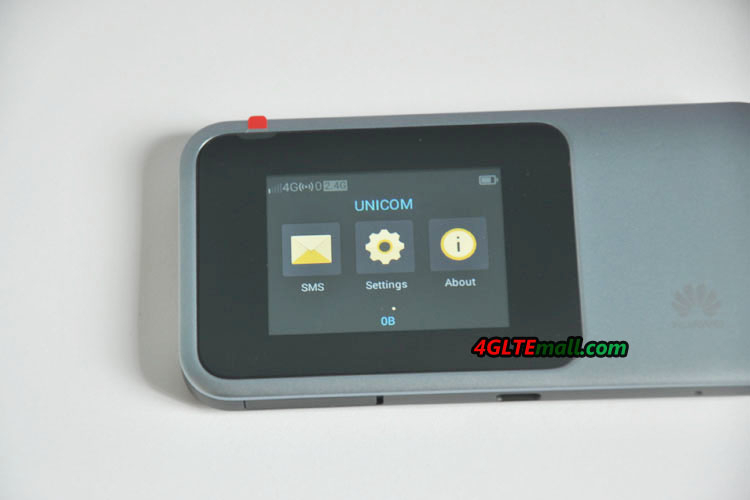 We would take full test of this new LTE advanced Pro mobile hotspot E5788. So the potential user would see the performance of the Huawei E5788 and whether it’s better than other competitors.